It is safe to say that our technological abilities are advancing at a rate faster than ever. Naturally, with such a wide array of technological advances available at hand, we have become better at securing ourselves and our data on the internet. However, we’re not the only ones taking advantage of the rapid technological improvement. Cyber criminals are constantly exploiting our newly developed technologies and finding ways to use them against us. This has led to an increase in cybersecurity risks that affect businesses and individuals worldwide. Our biggest concern is the frequency with which businesses are affected by security threats, from simplest phishing schemes to more complex security breaches. The number one trap owners of small businesses fall into is thinking that they don’t need a strong security system. Why? Mainly because they run a “small” business and assume that hackers would much rather focus on the larger players in the game. The truth is, small businesses are the easiest and thus the most common targets for cyber criminals because they neglect the security aspects of their online presence. According to data published by Symantec, over 40% of cyberattacks in 2015 targeted small businesses, that is, companies with 250 or less employees. The trend continues to this day, as people turn their businesses into easy cyberattack targets. The fact that such a large number of businesses is affected by security threats shows how little or no effort people are putting into securing their companies. The number one reason why people fail to secure their businesses is the fact that they are not sure what kind of security system they need to put in place. If you are running a business yet you have no cybersecurity or tech experience, it might be difficult to determine when your business reaches the point where it needs upgraded security. Most easily put, if your business handles any type of customer data or if your business could not run if your information was taken hostage, it requires a solid security system. There are plenty of risks tied to lacking cybersecurity. For starters, failing to set up a proper security system will allow hackers to exploit your business and take advantage of its available data. This can lead to large security breaches that can bring the privacy of your customers in question. Obviously, such an incident would hurt the credibility of your company, resulting in a lower number of customers and less profit. Other risks include being vulnerable to potential malware and malicious software, data theft, phishing attacks or even complete system takeover. Fully securing your business can be quite a challenge if you don’t have any cybersecurity knowledge or experience. Our best advice is to consider hiring a professional security consultant or service to help you protect your business. Whether or not you choose to partner up with a cybersecurity firm, you should consider following the NIST Cybersecurity Framework. This framework provides policies and regulations related to computer security, serving as a guide on how you can prevent, respond to or even detect cyberattacks before they happen. Other cyberattack prevention measures include calculating potential security risks such as possible threats, vulnerabilities and potential losses. Ignoring cybersecurity threats can lead to serious consequences for businesses of any size. While large corporations place a great deal of focus on cybersecurity, small businesses tend to put this issue aside quite often. 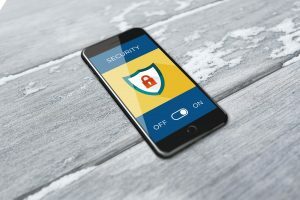 To make sure your business doesn’t get affected by any security threats, you must consider following the NIST Cybersecurity Framework in order to secure your online assets. If you need help regarding the framework, contact us at The Network Pro for assistance!